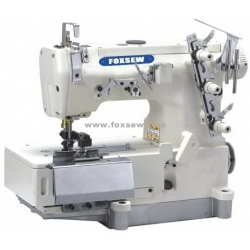 2) This machine adopt vertical movement of looper, suitable for basic sewing and decoration of high-grade garment. 3) Complete automatic supply system and oil-filter device, ensure the max sewing speed to be 5500r.p.m. 4) Some key parts are special treatment, which enhance the wear-resistance of the machine. 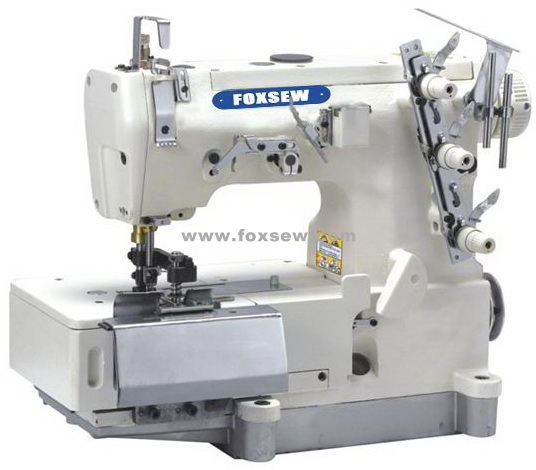 5) This machine is equipped with two side cutter, can auto-cut and fold the irregular cloth, and sew out the loop belt.